You can’t beat M&Ms and what a great way to present them in this 115g personalised M&M’s Small Apothecary Jar complete with your company logo. 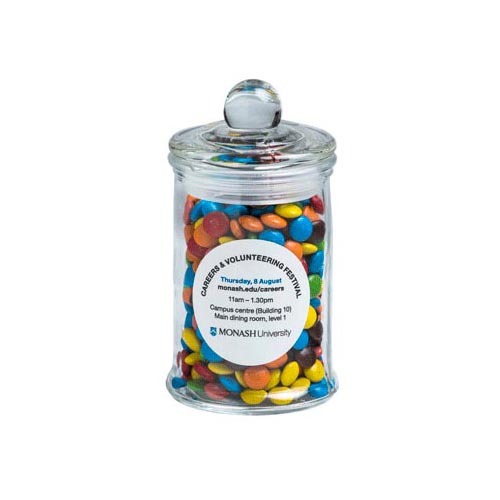 The branded M&Ms Small Apothecary Jar is a fantastic promotional product that will do wonders for your marketing. With delicious M&Ms inside, the apothecary jars will definitely add an extra punch by giving these famous chocolates a beautiful presentation. 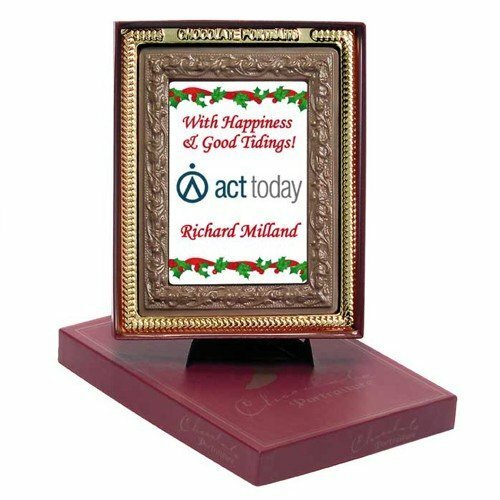 Perfect for gifting them at your promotional campaigns. Looking at the custom M&Ms Small Apothecary Jar should already raise excitement. Its aesthetic design makes it a total eye-catcher. And when it’s filled with glossy multi-coloured chocolates, it’s definitely something that would attract attention even when placed in a very crowded room. The M&Ms Small Apothecary Jar is stuffed with 115 gram of M&Ms. It stands at 110mm in height, and is 60mm wide. That’s a good size to hold other things aside from M&Ms when all the candies have been consumed. You can also use it to hold personal trinkets or any other small items that you’d find it useful for. For branding the M&Ms Small Apothecary Jar with your own design, there’s a printable sticker that’s 38mm in diameter that will be placed on the body. Print your logo and some contact information. And when you gift the promotional M&Ms Small Apothecary Jar at your events, your brand is sure to have a strong recall. While you’re on our corporate confectionery site, you might also want to check out our other cool products. We have the branded Chocolate Medallions as one of our top selling gift items. Also, if you’re looking for a unique idea to present your business cards, the promotional Choc Beans Biz Card Treats is worth your consideration. Add a colourful touch to your meetings with our custom M&M’s Small Apothecary Jar. These confectioneries are excellent gifts for your team and colleagues! Got a team event? Check our Six Panel Promo Cotton Twill Mesh Back Cap and our other promotional caps and headwear! Do you have any sweet questions? We have our friendly sales team ready to take your calls. Just dial our hotline 1300 008 300 or shoot us a message through that chat box on your screen. We’re excited to hear from you and work on your next promotion pronto.